Big MO Team 314 Ice Bucket Challenge from Dynamite Video Productions on Vimeo. 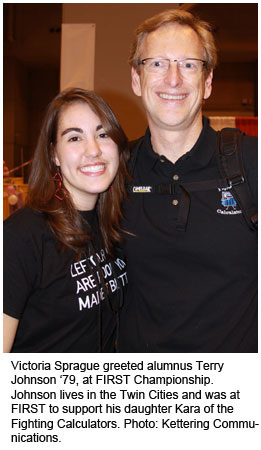 Kettering awarded 14 FIRST Scholarships and celebrated FIRST Robotics' 20th anniversary during championship games in St. Louis. 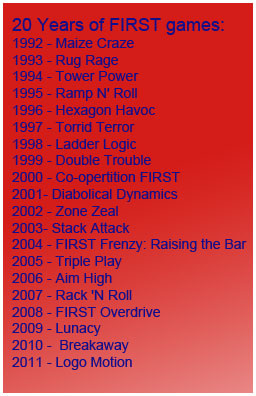 As FIRST Robotics celebrates its 20th year, perhaps the name of one of its newest teams best captures the unmitigated, undefeatable spirit of this international organization. The team name: Random Nuts. Inventor Dean Kamen ‘01, retired MIT professor Woodie Flowers and thousands of FIRST enthusiasts have lived the FIRST dream for two decades, having fun, working hard, dressing oddly and showing the world that engineering, science and math are so engaging that you can build a family around it. A FIRST family. 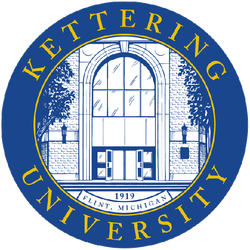 Kettering University has been part of the FIRST family for 14 of its 20 years, said Bob Nichols, director of External Affairs. FIRST – For Inspiration and Recognition of Science and Technology – is an international organization that helps youth develop a passion for science, engineering, technology and math. Nichols and a team from Kettering were on Scholarship Row during FIRST Championship games in St. Louis, Mo., April 28-30. Helping Nichols represent Kettering at national games were Patricia Mroczek (Communications), Trisha Stommel (Admissions) and current students John Crimmins, Andrew Schreiber, Victoria Sprague, Mindy Taylor and Robyn Thurston. 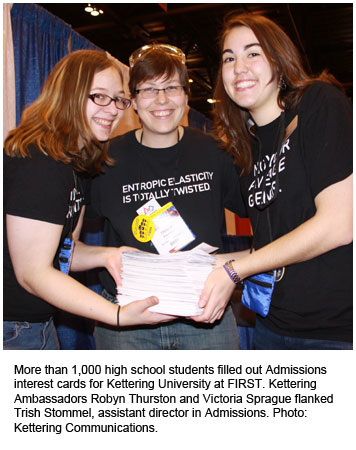 Nichols said Kettering is very popular with FIRST high school students, with a reputation for its creative games and give-aways each year. This year, a computer-generated Sudoku game, created by Kettering students under the leadership of Dr. Henry “Doc K” Kowalski of Mechanical Engineering, was a real smash, he said. 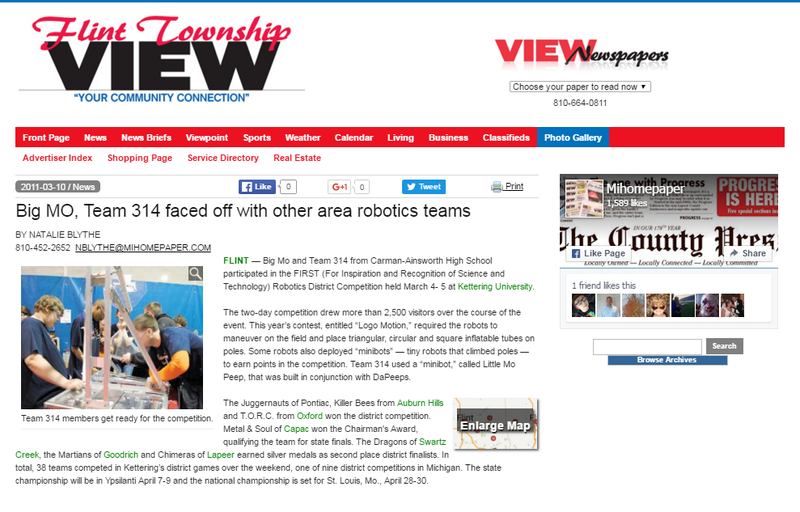 Keenan Lake, Team 494, Martians, Goodrich, Mich.
William Daskam, Team 79, Team Krunch,Tarpon Springs, Fla.
Alexander Tannahill, Team 79, Team Krunch, Tarpon Springs, Fla.
Nicholas Rhoto, Team 314, Big Mo, Flint, Mich.
Jessica Bruce, Team 314, Big Mo, Flint, Mich.
Cody Marshall, Team 2851, Crevolution, Sterling Heights, Mich.
Thomas Pawlicki, Team 503, Frog Force, Novi, Mich.
Paul Kizer, Team 1502, Technical Difficulties, Chelsea, Mich.
Alexander Fladzinski, Team 3421, Tachyon TECs, Yale, Mich.
Cole Shumaker, Team 2137, TORC, Oxford, Mich.
Erik Schroeder, Team 79, Team Krunch, Tarpons Springs, Fla.
Jerry Brown-Lacy, Team 314, Big Mo, Flint, Mich.
Jacob Caporuscio, Team 1718, Richmond, Mich.
Ryan Webster, Team1533, Triple Strange, Stella, N.C.
Robots built in six weeks by high school students and their coaches/mentors from a common kit of parts provided by FIRST and weighing up to 120 pounds. 20th year of competition for students in grades 9-12. Participants are from grades 9-12. 29 countries, including U.S., Australia, Japan, Mexico and more. This year's game, Logo Motion, was strictly offense. Large robots built by high school teams, aided by their mentors and coaches, are designed to grab colorful inflatable’s and hang them on tall poles. The inflatable’s are the triangle, circle and square of FIRST's famous logo, plus a yellow Ubertube, just for fun. In the match's final 20 seconds, teams that can quickly run a mini-bot up the pole and set off a green light get Uberpoints added onto their score. Nerd Herd from Carson, Calif.
Beach Bots from Hermosa Beach, Calif.
Children of the Swamp from Riviera Beach, Fla.
Perpetual Chaos of St. Louis, Mo. Bob Nichols had an idea and with the help of a dedicated organizing committee created the Kettering Kickoff in 2000. The Kickoff helps new teams develop camaraderie and prepare for the new FIRST competition season. 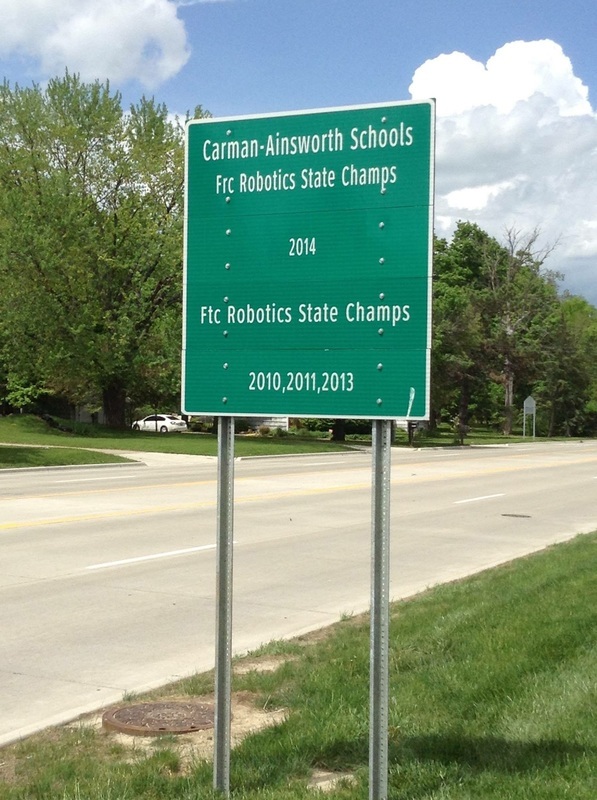 Students use this year’s team and last year’s robot/game as a means of prepping for state and national championships. In 2009, Kettering entered a new era when it began hosting qualifying matches at a district competition. If you haven't visited a FIRST competition to experience its colorful and noisy activities and see the sweat equity of dedicated team members, teachers, coaches, volunteers and family members - try it sometime. Called the Varsity Sport of the Mind, it is among the few varsity sports where installing electrical wiring backwards stops the action. And it may be the only varsity sport in the world where it helps to know the macarena. The 2011 Kettering Kickoff is Saturday, Sept. 17. Be there!